Since about a year, when I started looking at lights I became slightly obsessed with them. I wanted to find the perfect light and combined that with my “slight” obsession in buying things from China. 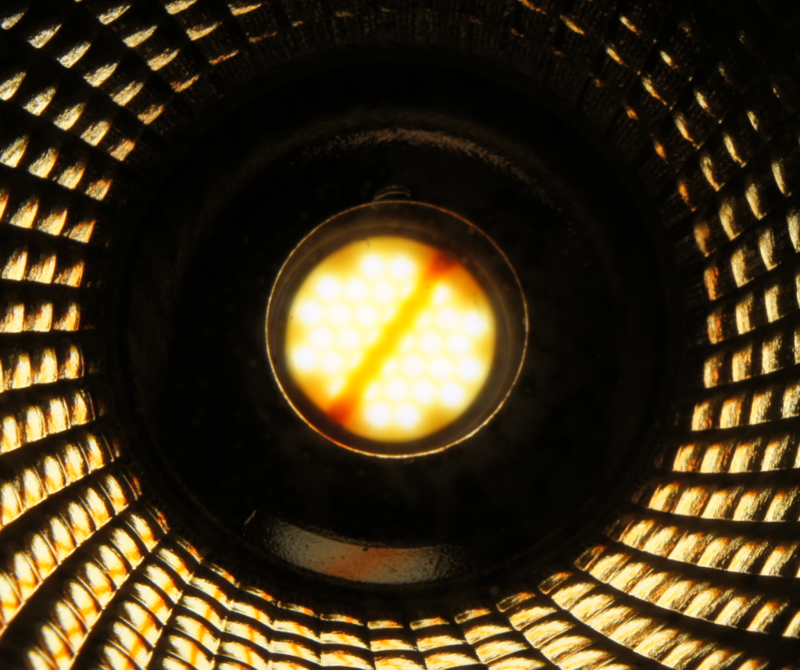 In the world of LEDs there are now 2 common ways to dim an LED. I will try to give an explanation below. 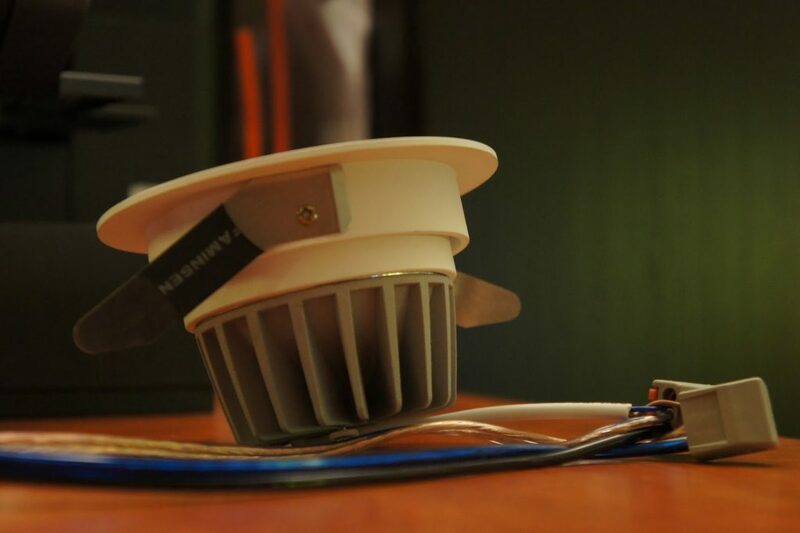 The first part was building my own LED dimmer. I did my research and decided to build a PWM based LED dimmer. Knowing very well that this might cause problems with “flickering” lights people have mentioned. I did a lot of testing with it and personally I cannot see the lights flicker, nor can anyone else who I’ve asked to look for it. But, I’m using my self designed PWM LED WiFi dimmer which does PWM at a frequency of 1000Hz, which seems to be a lot higher then a lot of commercial products are using. Also, my components are selected to be able to handle this frequency, the used MOSFETs are able to turn on and off within nanoseconds, well within the 1000Hz I am switching them at. It seems a lot of commercial products that use PWM only do so at a frequency of 100Hz or even less! I still remember the day of the CRT monitor and TV’s. Even then I could easily see the refresh rate of a screen. Around 85Hz it became harder and only at 100Hz I couldn’t see any flickering anymore even when looking at it in the corner of my eye. Compared to other people I would say I was very sensitive to this phenomenon. So this part worried me a lot in building a PWM dimmer. But as said above, neither I, nor anyone else has been able to see any flicking from the 1000Hz. Only when waving the LED strip around heavily does it look different dimmed or fully lit, but it’s more of a different pattern then seeing something flicker. 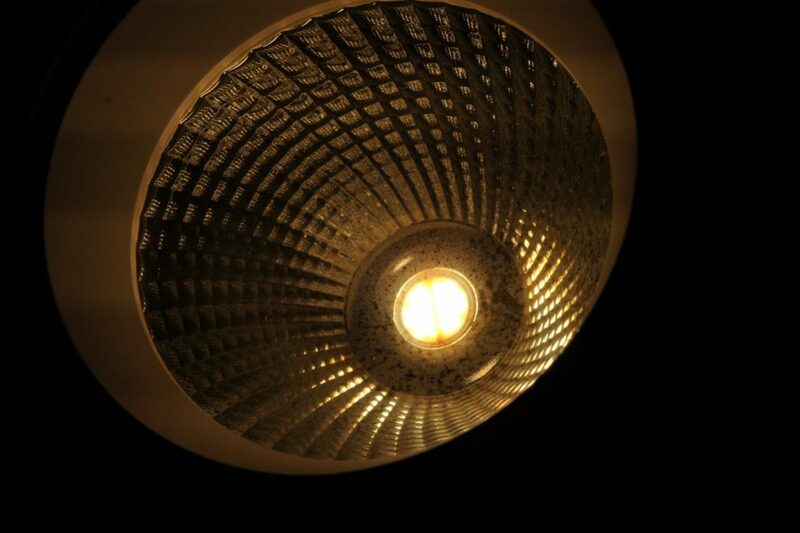 Also, almost all of my lights will be used as indirect lighting, never seeing the “bulb” itself. So I’m convinced and I’ve decided I’m satisfied with it and moving on. I’ve been looking at them for months now and I have not experienced any issues with it. I included some shot set with manual camera settings at the end of the article. 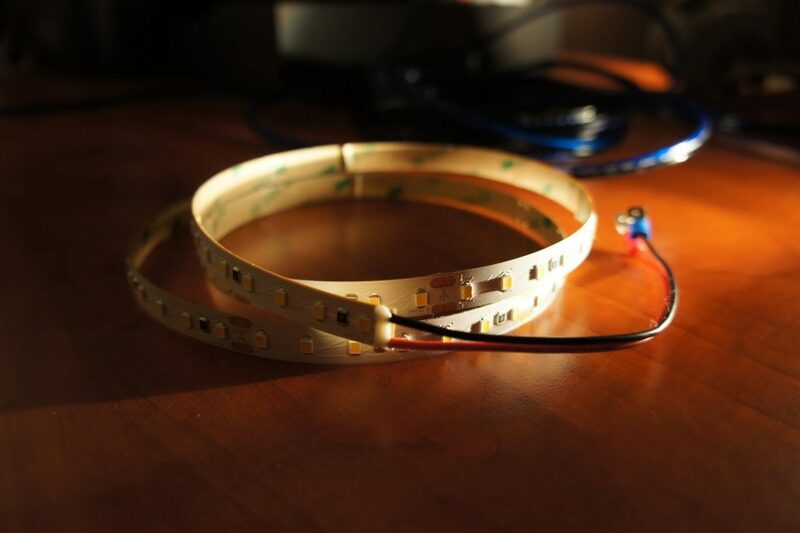 A new form of LED lighting is starting to appear. One of the forms they are arriving is called a COB LED. In these lights they have switched from constant voltage (You need to supply 12v) to constant current (You need to supply 200ma). These constant current power supplies have a voltage range in which they operate (25v – 45v for instance) and a set amount of power they will deliver, whatever the voltage. 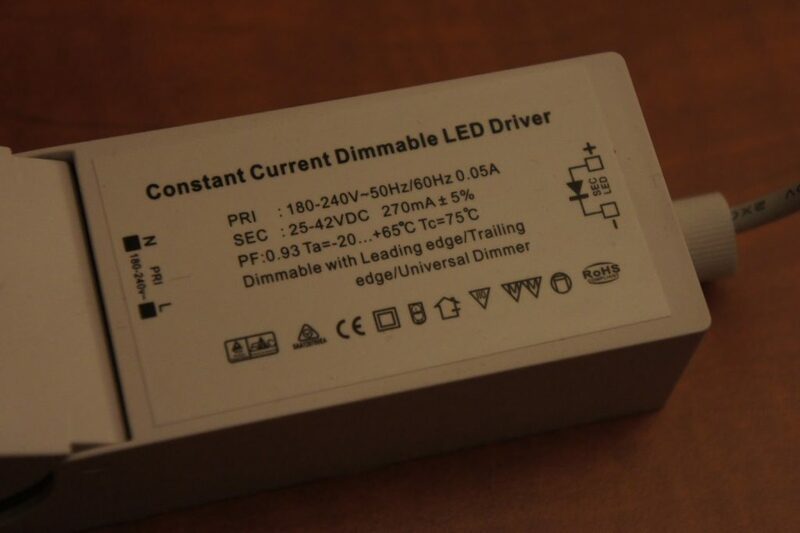 The more expensive versions of this LED driver support dimming using trailing or falling edge AC dimming. It will change the output power depending on what it is receiving. Thus this is dimming without PWM and thus absolutely without flicking. There is no flickering anywhere in the chain so it’s impossible that it can occur. I would suggest anyone who is very very very sensitive to it to build their solution around Constant Current LEDs and no longer Constant Voltage LEDs! 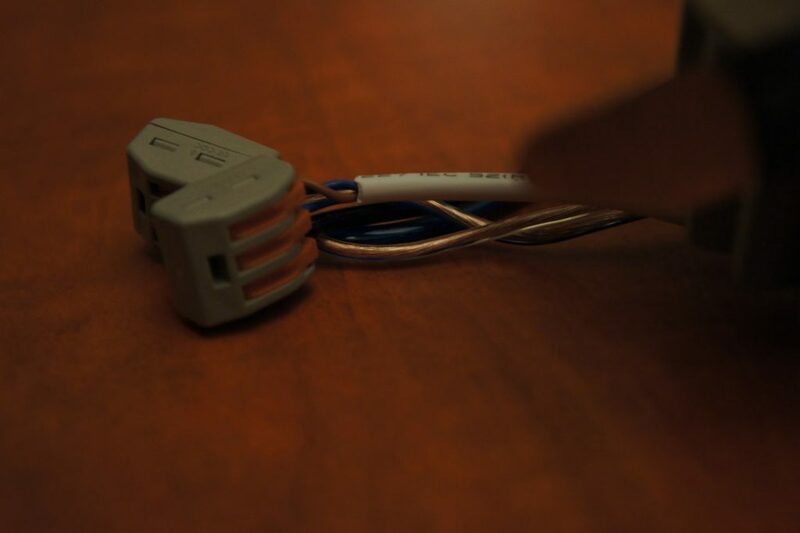 You will be completely flicker free, even when dimmed! The disadvantage? 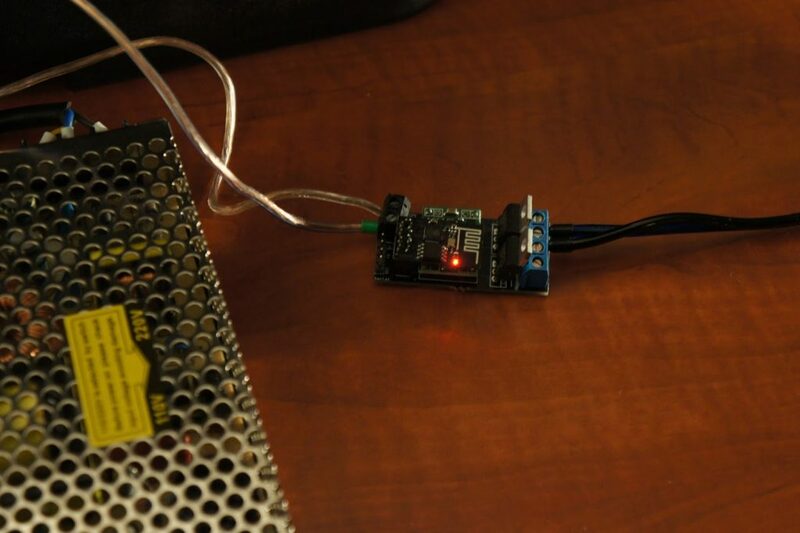 Where with my PWM dimmer I can create a large parallel connected string of lights, with constant current LEDs you will need a driver per light. By design, PWM dimming with these drivers will also not work. 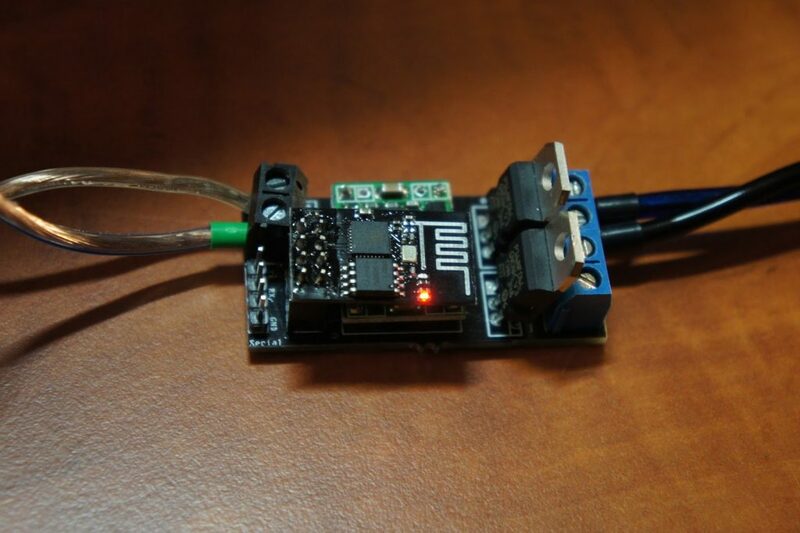 If you connect a PWM dimmer behind a Constant Current LED driver and turn down the light level, the driver will try to re-establish a working voltage to still deliver it’s current. That resulted in a light fading up an down the whole time because the driver is trying to find a voltage at which it can deliver it’s rated power. 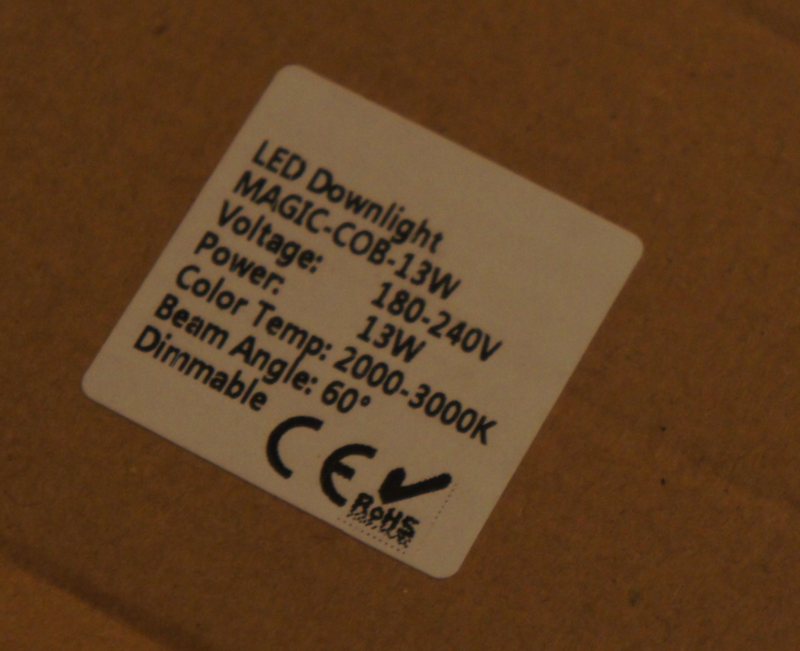 That doesn’t mean COB LEDs can’t be driven with constant voltage anymore. I’ve ordered lots of lamps and my method of testing has become hooking them up, undimmed, and measuring the voltage running to the COB LED. Then, getting a variable power supply and matching the voltage. This worked in about 75% of the cases, some COB LEDs just really didn’t like the constant voltage (or some other issues) and would start flickering, most worked just fine though. 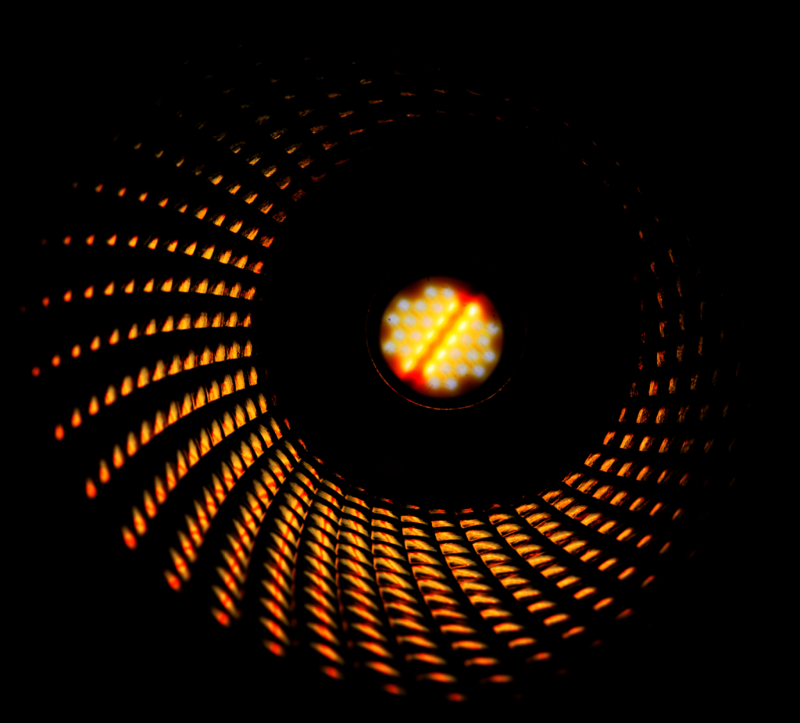 I made some shots with my setting on my camera locked to try and visualize the effect PWM dimming has. Because it’s 1000Hz using a 1/1000th shutter should display it’s effects. As you can see when thinking of any bandwidth we as humans can perceive flickering, the effect isn’t even visible to a camera anymore at 1/300 or so. That means, even with the best effort, we can’t see it at all, ever. As is also my real world experience with it. For about a year I’ve been trying to find the right downlight and the right LED strip I wanted to use to throughout the whole of our new house. I’m “kind of” nit picky so this wasn’t easy. A lot of lights failed my tests pretty quickly. They just didn’t look right, either their light color was wrong or it just wasn’t a pleasant light. After a while I learned that there was more requirements the lights needed to have then just light color (As close to 2700K as possible) and the right amount of lumens. Because often I would find lights that did come close to the specifications I desired (which was hard enough on it’s own) that there would be a yellow wash over the whole room, or colors looked just plain wrong and depressing. After I while I figured it out! 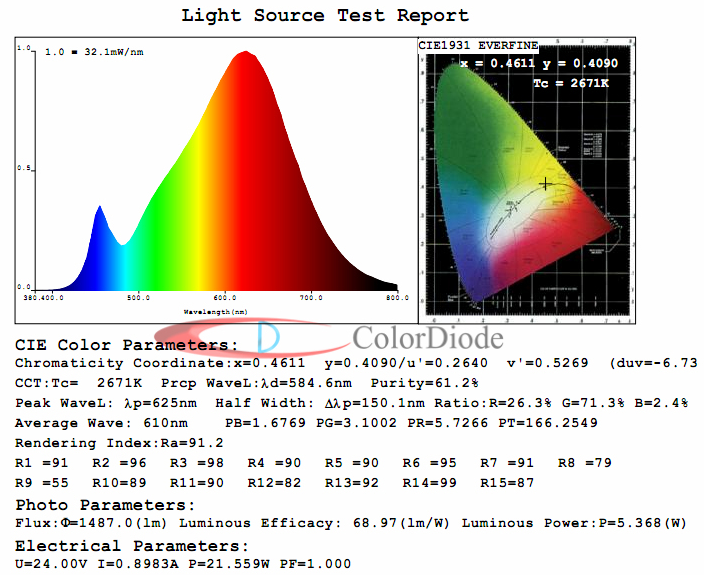 There is something called a CRI value or Color Rendering Index. This index determines how well the light looks when reflecting off a color surface. Basically, how well colors will look when watched under that light. It turns out, a lot of lights, especially LED strips are complete rubbish. No wonder they where so cheap! 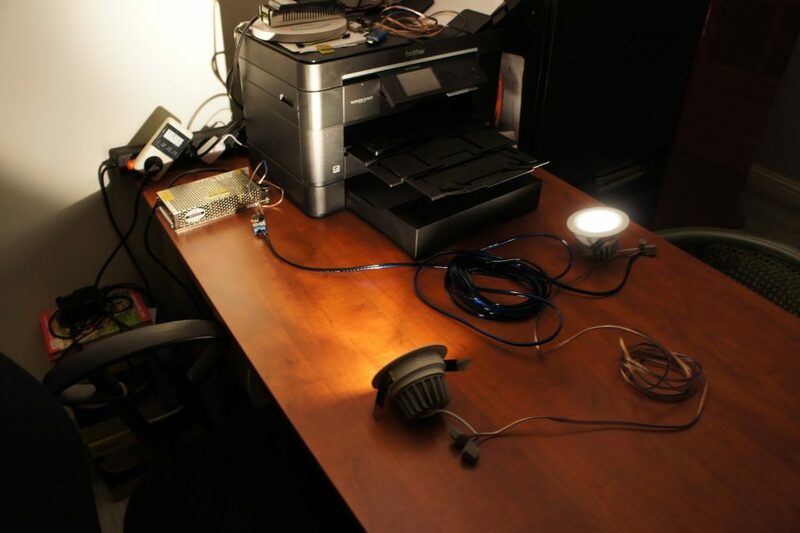 Most cheap LEDs are made with blue LEDs with a fosfor on it to try to filter and turn it into a different color. And although while looking at the light they are often able to bend it the right way, when that light strikes an object and interacts with it and then reflects back to your eye, most fail horribly! 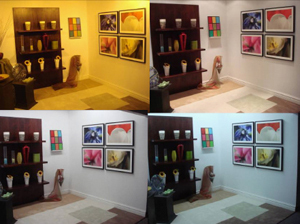 Even light which looks warm and the right color makes the room look dull, or differences between colors would disappear. 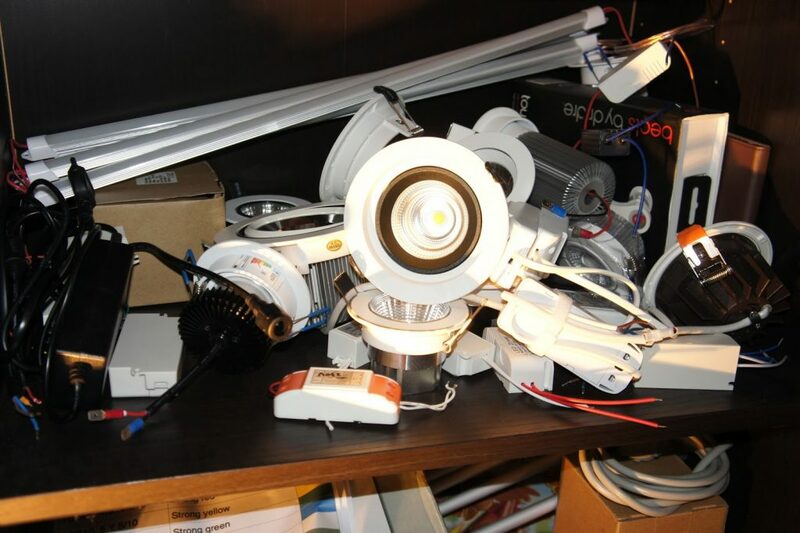 LED lights, even warm white versions are often built using blue LEDs, because those are easiest and thus cheapest to create. The manufacturer of the LED strips I selected included a color chart with their strips. Now I’m not one to trust Chinese manufacturers, but in my testing these lights do look A LOT better then what you normally see so I’m inclined to believe there is a value of truth in it. And so my search was a long and hard one. 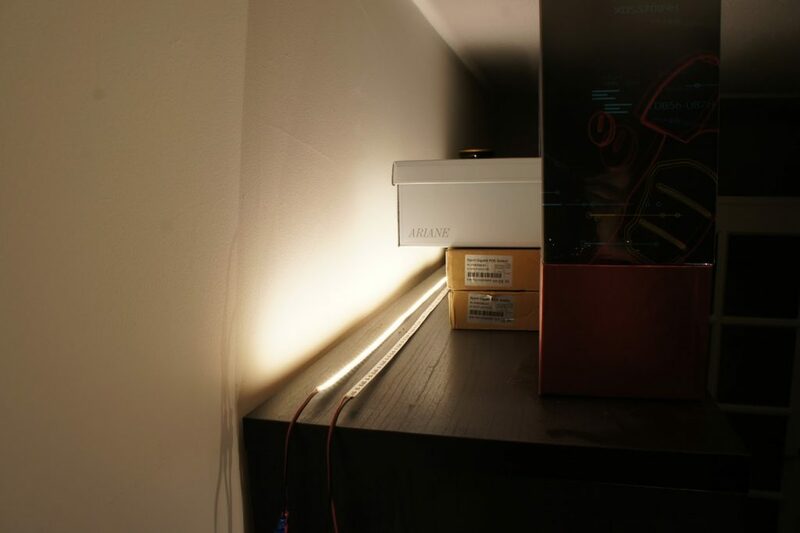 I wanted lights which approached 2700K, not 3100K that you often end up with when you choose “warm white”. Sometimes 2700K will be offered as “Super Warm White” though! I also don’t want it to look too yellow or even greenish as I’ve seen. 2700k is warm white light with a hint of red in there, not pure yellow wash as you often see. Like in the example below. A yellow light is something else then a “warm” light. Or for me at least I would pick the right top light. Here is a shot of my closet which has my testing samples of the COB LED downlights in it. I have some others somewhere else too, I think I tested 12 different models from different sellers, mostly bought on aliexpress. None of these worked for me. They had a variety of issues but they all didn’t qualify in the end. After this year long search, two winners emerged. The LED strips I have settled on come in various different configurations from the same seller/manufacturer. 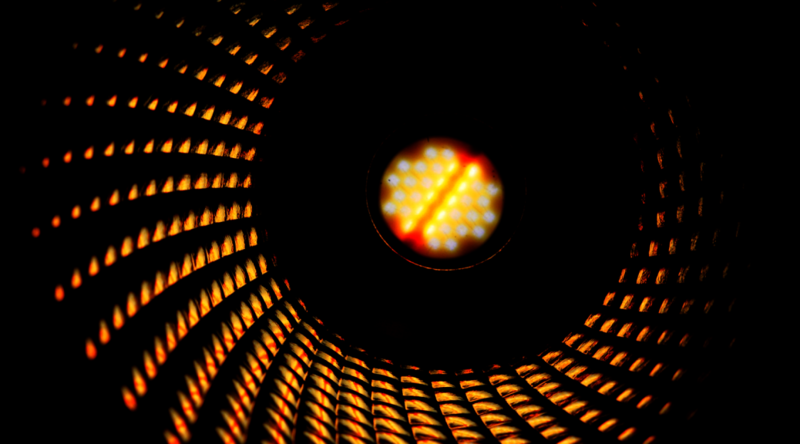 It’s using a new chip diameter called 2835. That means it’s 2.8mm wide and 3.5mm long. So it’s not an even design like the more popular 5050 for instance. 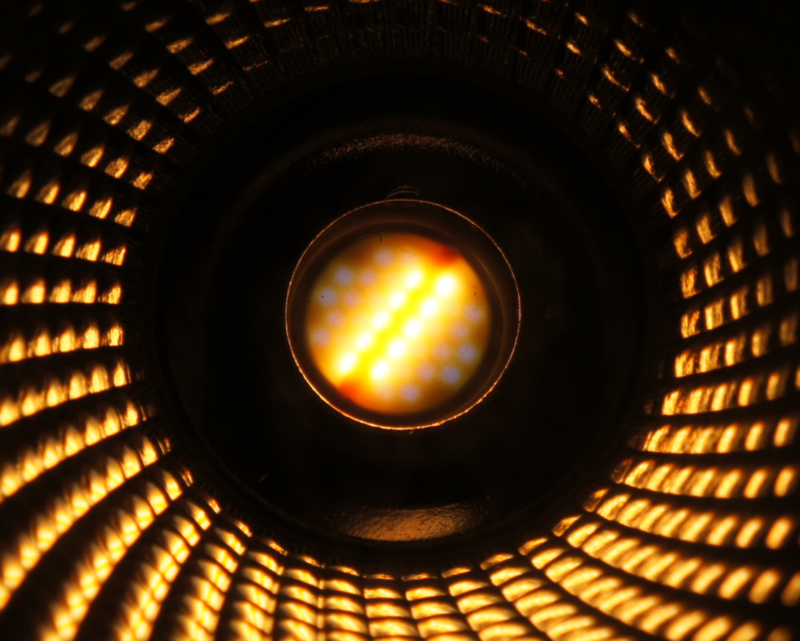 Each LED houses a single LED, the 5050 for instance is a Tri-LED chip, meaning that each LED package holds 3 tiny LEDs. So while the package is smaller, the individual LED is bigger. This has the advantage of creating less separate shadows. The strip I use has 90 LEDs per meter. This gives a good and even spread across the strip and helps with preventing lots of separated shadows. 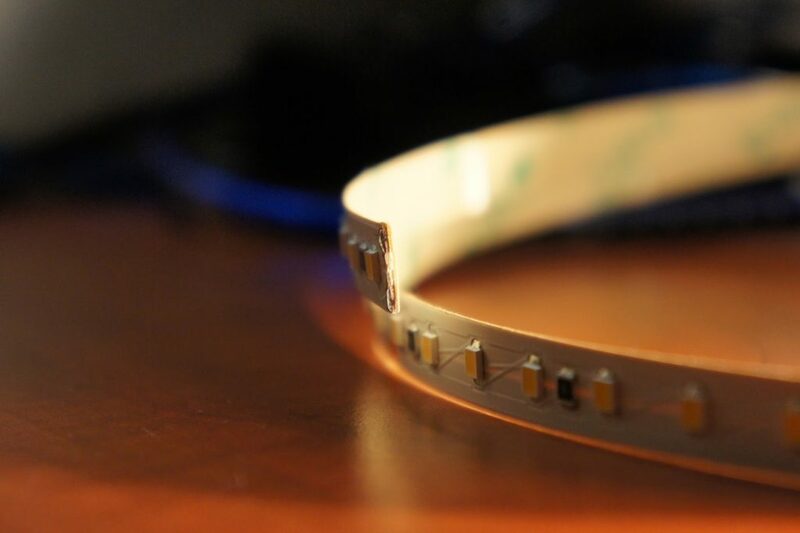 These strips are also available with 60 or 120 LEDs/m. 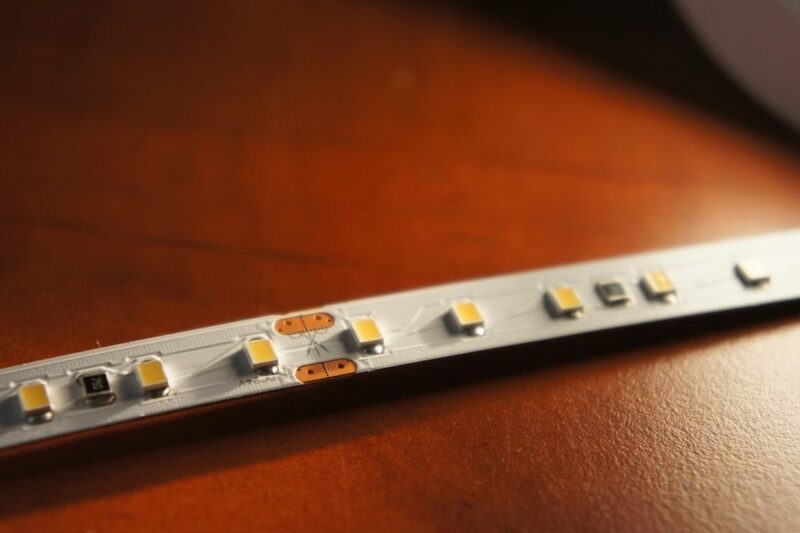 The reason I selected 90 is because I believe it has the best balance between LEDs, price and load the strip can take (thus determining the maximum length). Also it’s the best balances price per meter wise I believe. I specifically selected a strip that was 24v and not 12v. My reasoning behind this is that voltage drop will occur the longer the strip is. If the starting voltage is higher and the number of volts drop is the same, in percentages the drop will be lower then with 12v and thus less noticeable. During testing I find this strip to do VERY well even with 5 meters fed on one side it’s hard to tell if there is any difference in brightness at the beginning and end or not. I believe this to be the result of very thick copper lanes running through the strip, with most cheap strips these are very thin and flimsy causing the voltage drop issue. Another feature this strip has going for it is the amount of copper used inside of it. I made some cuts in the strip to chop it in test sizes (1 meter) and looking at the point of the cut and feeling the weight of 1 meter of strip I can tell it’s quality is a lot higher then other strips I’ve worked with. Although I haven’t measured it, I believe 1 meter of this strip is heaver then 5 meters of others I’ve tested! Still, especially with longer lengths (more then 2 or 3 meters) it’s advised to feed the chip from the same controller on both sides. This gives the most even voltage distribution which in turn gives a nice and evenly lit strip and also helps reduce warmth with having to pass too much current through the strip. Cooling is an important aspect when mounting the strip to surfaces. The plan I have right now is to buy aluminium strips with a width of 3 or 4 times the strip is (10mm or 1cm) and sticking the strip in the middle of it and mounting the aluminium strip to the actual surface. This way the heat from below the strip can dissipate into the aluminium which can then pass it to the air and connected surface. Using just the bare strip without a heatsink and setting it to max brightness will most likely kill the strip quite quickly. Although you can, LED strip is not designed to be used without some form of cooling, at least not at 100% brightness, it will get VERY hot. I’ve been running these strips at 25% brightness without cooling and they barely get warm to the touch. So it depends on how and what you will be using the strip for. This is also the reason I’m ordering my strip without any water protection. Any form of water protection will seal the top of the strip thus preventing it from dissipating heat from that side to the air. The epoxy or silicone will warm up after a while and pass on some heat but it still forms a barrier, locking heat inside and thus lowering the lifetime expectancy of the strip. This seller sells this stip in three different colors. Neutral white (4500k), Warm white (3000k) and Super Warm white (2700~2800k). For my lighting purposes I think I’m going to use a mix of Neutral white (work places) and Super Warm white (everywhere else). 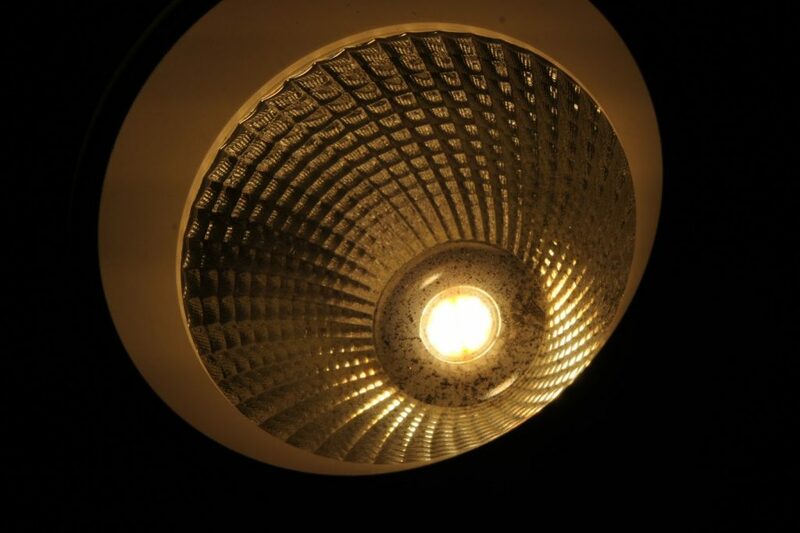 Especially the Super Warm white creates a very nice and smooth light, comparable in color to older light bulbs. Combined with that the CRI value of the LEDs used is of utmost importance (to me). All these variant have a CRI value of 90Ra or higher. More then plenty for even the demanding tasks. They light my room with very natural lights and all the colors look as they during the day. There is two things I can think of mentioning as down sides to the strips. B. Fully fed/undimmed these strips eat through power. A full strip, fed on one side eats up to 80w and with both sides bed probably around 100w. That’s A LOT for LED and thus heat production is also high. On the other side, undimmed these strips are brighter then looking directly into the sun on the brightest day of the year so I will probably never use them at full brightness anyway. Dimmed to 25% they still give off a LOT of light, power usage is very low (into the single digits for 1 meter) and there is no heat production to speak of. So both negative sides are relative in my opinion. They they do merit mentioning though. Buy enough power (never draw over 80% continuously from a power supply) and provide ample cooling! The strips I ended up selecting are the following. As said 24v! Measured power usage of a strip is about 80w when fed from one side. I think it will be close to a 100w for a total strip, this is at full brightness though which is really REALLY bright for this strip! Next to using light strips I wanted to work with spot lights in the ceiling. Now a days you can find a lot of LED replacements for the standard system but I wanted to have them controllable using the same system as I’m using for the LED strips. This introduced me to COB (Chips on board) LED lights. This is the newest form of LED packaging and it’s basically one package in which a whole bunch of LEDs have been crammed together. They are all linked either parallel or serial making the voltage very different per COB LED. This is also in part why they are driving using constant current instead of constant voltage. Since I can’t use constant current (as explained above) I am using these COB LEDs with constant voltage. For each light I connected it’s supplied constant current power supply and measured the voltage being applied at max brightness. I then took a constant voltage supply and hooked them up to my WiFi PWM dimmer module. This worked well 80% of the time. Sometimes a light would flicker or display other strange behavior. Most of the time this worked out well though. The lights I finally selected dim well using my dimmer and even have a special feature which lets you determine the light color you need. They also supposedly have a CRI value of 99Ra which is quite hard to achieve, so I’m not totally trusting that. But, from all the lights I’ve seen, it does produce the best color and light reflection. I can’t officially test CRI, but they at least score very well (Beter then all the others). As you can see it’s called a “magic” light. That means depending on the voltage you supply towards it, the color of the output changes. 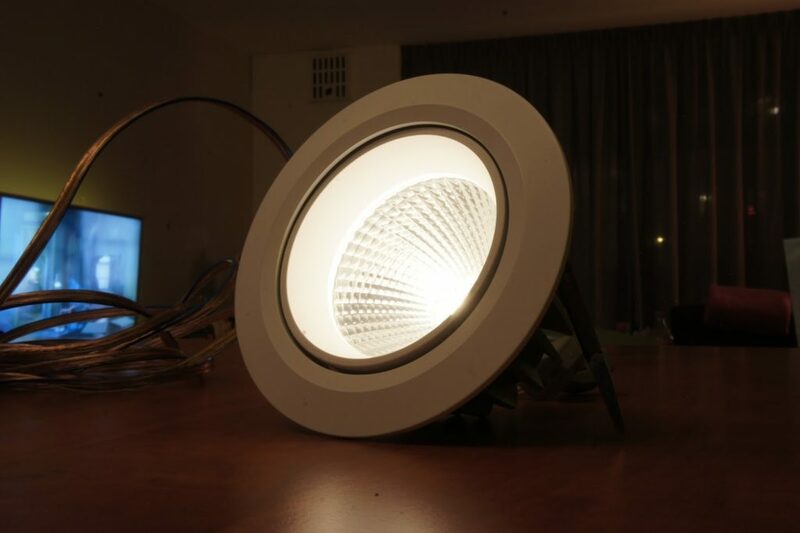 Normally, when used with the supplied driver, the light will have a warmer color when dimmed down and it becomes less warm when the brightness goes up. But because I’m using PWM dimming means there is now 2 values you can manipulate! You can change the light intensity (brightness) AND light color separately. Changing the voltage to change the color will vary the brightness slightly but it’s not problem keeping enough brightness available and still having a lot of light. The way it does this is by having 2 color of LEDs inside the same package which they have rigged to activate at different voltage levels. It works quite well once you understand how it works! As you can see in the pictures there is a middle row of very warm white (presumably around 2000K) LEDs surrounded by less warm white LEDs (probably around 3000k). Mixed together you can create either a very warm glow or a colder warm white glow, or anything in between. 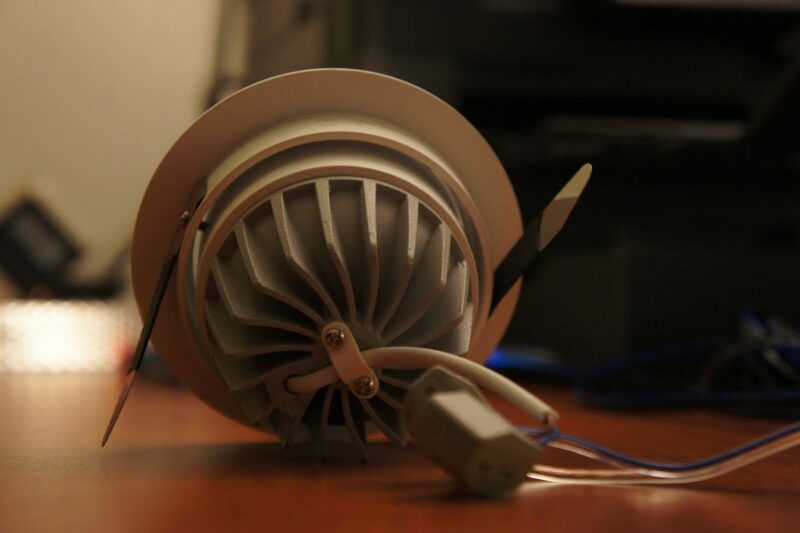 From the outside it’s a light with a large heatsink which uses spring clips to lock into the ceiling holes. That means that you will only be seeing the top white part. They design is such that you can have a slight tilt if you wish to point the light a certain way. These lights have a light spread of about 60 degrees. They spread out pretty evenly too. I currently only have 2 of these lamps but that’s enough to build a testing setup. I made 2 cables of 5 meters and connected them to my 36v power supply and adjusted using the trim meter on the power supply to about 33.1v to get the color I’m looking for. It goes from the power bar through a current meter to my 36v power supply. Attached to it is my WiFi PWM LED dimmer and 5 meters of cable. Then I connect the first light and run another 5 meters of cable to simulate some distance. Invaluable when quickly testing connections or using them to secure something for a longer time. Snap fits very strongly! Using 13w per light as a value to calculate the max wattage is fine. So 10 lights on one power supply would use 130 watts max so get at least a 150 watt power supply and make sure you can adjust the voltage between 31v and 35.5v (max for the lights). In reality, with the voltage I run them (to get the right color) they draw about 10w max and still produce plenty of light. When guessing, I would say the max lumens that the ligths have reduced because of the reduced voltage is about 20%. So still plenty bright! You can buy these lights on aliexpress using the following link. They are about 32.25$ a piece. But, if you buy them in a larger quantity the buyer is willing to work with you on the price. Also, using my setup, you don’t need the included drivers and need to buy a separate power supply to power a string. And that’s about it. I searched long and wide to find the lights that suited me in the form factors I needed them. I ‘m quite sure anyone else is going to enjoy them too but it’s up to everyone themselves to decide what to buy. Of course, your mileage or experience may differ. 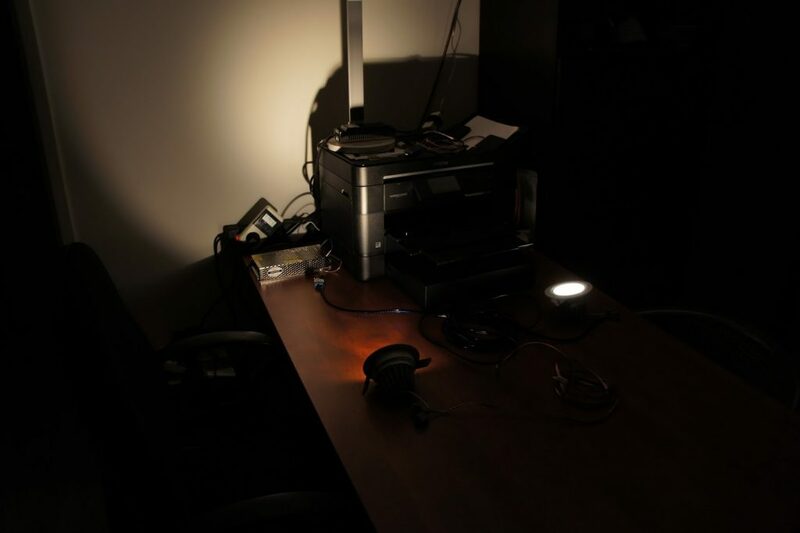 You feeling about these lights might be completely different from mine, so always test and device for yourself. Thanks for all you efforts on this, I now have built 2 of these units and am working out the LEDs to use. 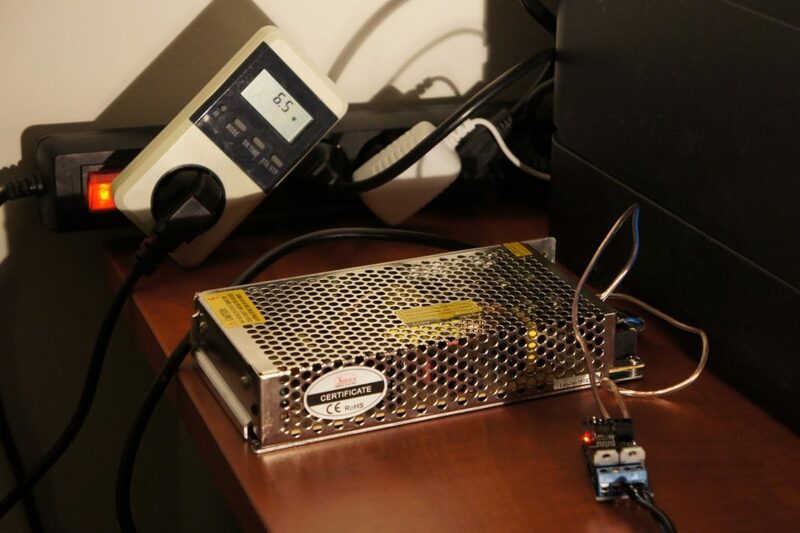 Have you thought of adding a second DC/DC converter on the input so that you can use a high voltage PSU and adjust to the specific voltage on each unit. This would also negate any brightness differences with different length supply cable runs. You, sir, are bad for my Aliexpress habit. So bad. They are “sold” as both 10W and 15W, 1000LM and 2000/2400LM. They are all the same light which has a small F0071 in the corner. They sell between $3.25 to $4 US dollars. They seem to create a good amount of light for the power consumed. They only draw 6W each on the QuinLED board at full (1023) power at 12V. A pair at 12W seems offhand to be as bright as a 100W incandescent, but I might be off. They are rated at 12-14 volts, so they are probably a lot brighter at 14v. I’m using the White version as I can’t stand yellow “warm white” light. How are you cooling this COB’s? I am bolting the COB lights inside an aluminum channel, basically a 4″ by 50″ heatsink/frame. I’ll post a picture in a few days when I get one finished. I’ve been running one for months just sitting on top of a CPU heatsink; they seem pretty efficient and don’t make all that much heat. Thank you, very good website. I have a small question, I need to put a wireless DMX dimmer to control 4X zones of (23XCOB white dimmable led ceiling downlight 10w each). 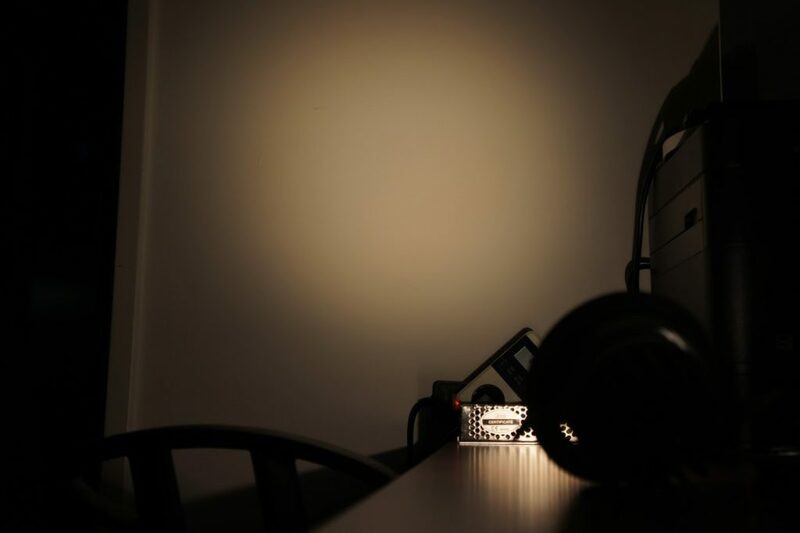 zone #04 with 4X-COB 10W led. All my celling light have a driver “dark enegy” 12V 4-7 * 1W MR16 DC. I know I need use constant-current. But can I use one or more R4-CC receiver or LT 810-CC receiver or other models??? And should I remove or keep the original driver; (MR16DC)? I have no problem with the DMX controler and setting. Sorry, don’t have much experience with DMX. From my understanding you’ll need to run a DMX line and each light will need a driver which supports DMX dimming input. But as I said, I have no experience with this type of equipment.